A GPS tracker can be an essential tool for athletes looking to monitor and improve their performance. And even more so when it's packaged into a thin 50 gram watch that isn't going to weigh them down or impede their workout. 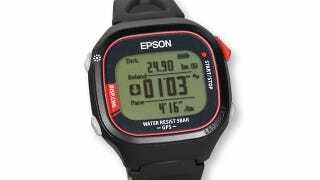 But you wouldn't expect the world's lightest GPS watch to come from Epson, a company synonymous with imaging products like printers and projectors. It's actually even lighter than the smallest offerings from Garmin, and in order to shave off that extra weight Epson had to develop a brand new GPS module that promises increased accuracy with longer battery life.